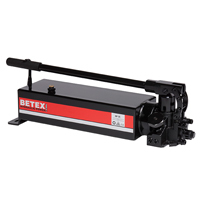 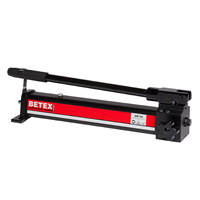 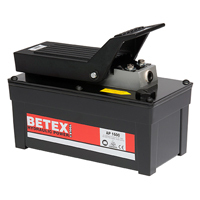 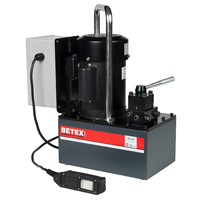 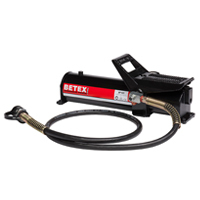 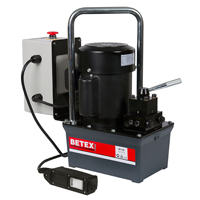 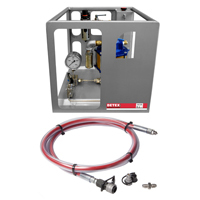 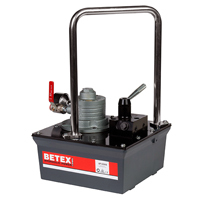 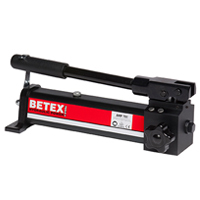 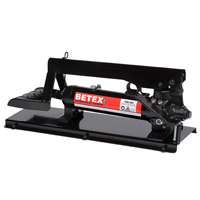 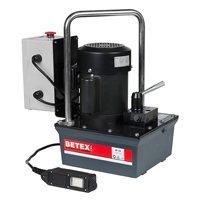 With this simple yet complete line of accessories consisting of hydraulic hoses, couplings, manifolds, pressure gauges, Betex has the right accessory for a secure and optimally functioning system. 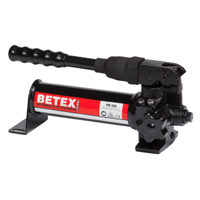 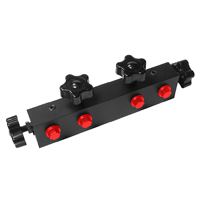 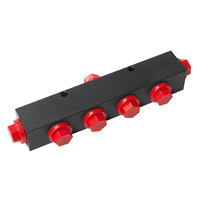 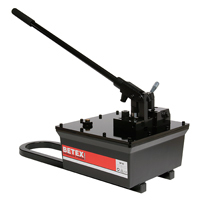 BETEX supplies a variety of screw-set quick couplers in four different sizes. 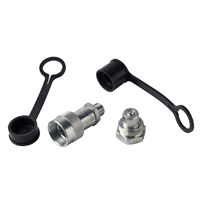 These can also be used with existing hydraulic systems. 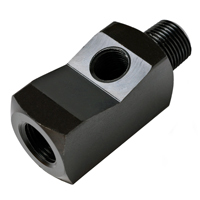 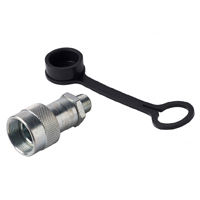 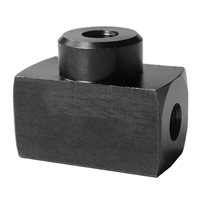 All couplers are rated to 700 bar, and have an anti-leak mechanism that works in either low- and/or high-pressure conditions. 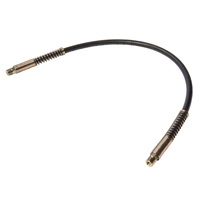 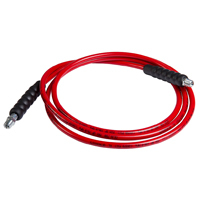 Hoses are black rubber coated with two layers of steel braided reinforcement, I/D of 1/4". 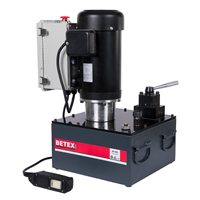 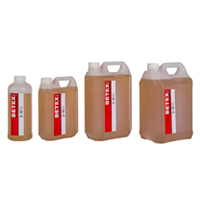 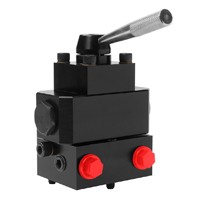 • Dial - 2 ½ "
Allows distribution of hydraulic fluid for double-acting cylinder. 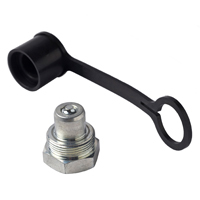 Aluminum alloy construction for long service life, easy operation and portabilit. 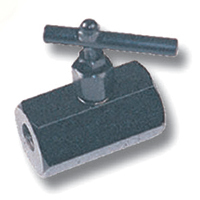 Liquid-filled, dampens needle vibration. 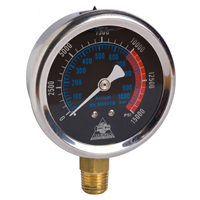 Calibrated to read in bar/psi. 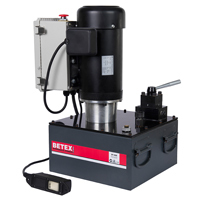 Dial – 2"; Accuracy meets DIN Standard ±1.6% of full scale.